The minute you realize you are going to have a baby, your mind starts imagining him sleeping sweetly in his crib. You imagine him gurgling and smiling at you as he lies in his baby bed. You even start imagining him bouncing while he holds the side rails and tells you stories in his baby talk. The crib is the most important of all the baby nursery furniture you will soon be purchasing. The question is not just of which style or feature to choose. There is also the issue of when to order, what stores to check out, and how (and where) to set it up, once it finally arrives. 1. The best construction material. You are naturally concerned (or you should be) about the material used to construct the nursery furniture set you purchase. The most popular full size cribs are made of wood. Go for stained or painted hardwoods like maple, ash, beech or oak. Metal cribs are also very sturdy and secure. If you are looking for baby beds with canopy, you will find more variety among the metal cribs. All finish materials must be lead free and non-toxic. And did you know that more than the design and decoration, you need to pay special attention to the hardware installed? These should be hidden and unable to hurt the baby. You must check the crib regularly to make sure there are no loose pieces. The mattress supports should be metal as it is sturdier than wood supports. Once you have decided on the crib of your choice, order the piece well before your baby is due. Most stores do not keep baby nursery furniture items (such as baby beds) in stock. You need to keep extra time for the crib to finally arrive. Assembling and setting up the crib could also take up a few days (count in days when you are busy with other stuff or are just too tired to do it right away). You will probably end up shifting it a couple of times till you get it in just the exact spot you want. 3. Don’t forget the mattress. The stores display baby beds complete with mattress and decorative bedding. But when you order the crib, the rest is not included. Remember to order the mattress. Again make sure this is a high quality product that can last several years. 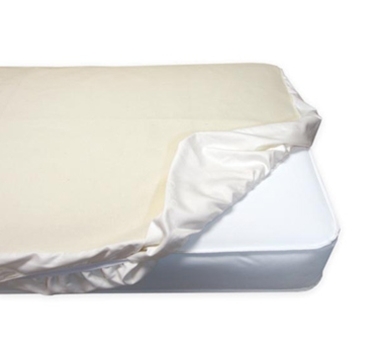 Organic crib mattresses are a great way to ensure your baby is in a healthy environment. We will deal with crib mattresses separately. 4. Setting up the crib. I'm sure you have already thought up the entire layout of the room in your mind. 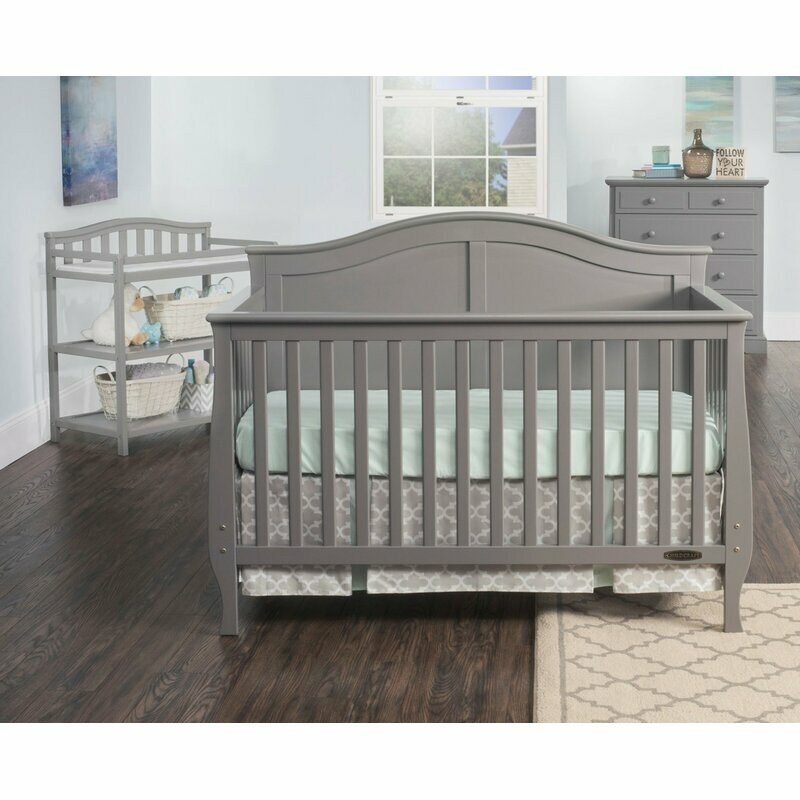 You know exactly where you want the crib to go and the glider where you will spend hours singing lullabies, as well as the rest of the baby nursery furniture. Just a gentle reminder: Keep the crib (and any other furniture) away from window blinds or drapery. The cords are dangerous as they can cause strangulation. An older baby could even pull himself up and fall through the screen. Tip: Keep cords out of your child's reach. Use a clamp or clothespin, tie the cord to itself, or cut the loop in half to make two separate cords. Cribs can be an expensive drain on your budget. You probably feel the need to buy a new one for reasons of safety and maybe a little guilt. You don't want people to think you are being stingy with the nursery furniture set. Don't feel guilty about looking for bargains. Of course, safety is a no-compromise issue. But looking for discounts does NOT mean that you care less about your baby. Also, there are many used baby beds that are in perfect working condition. Just buy these from known family or friends. There are many ways in which you could get a baby crib for a price lower than the retail price. Store Sales – keep a lookout for local furniture shops for any upcoming sales event. Discounts can work well in your favor. 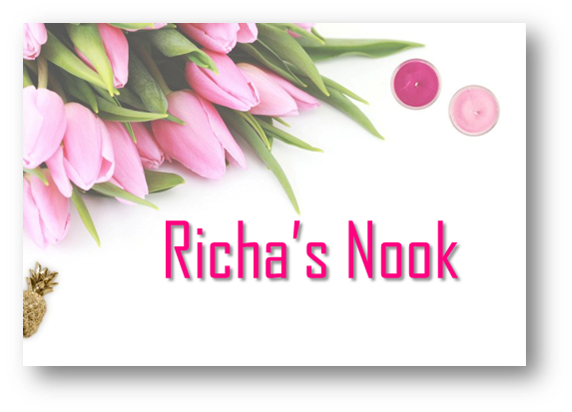 (You can friend us on FB or check our Daily Deals page for regular updates). Furniture outlets – The furniture outlet stores also keep new furniture at much lower prices. There are also several online retailers available if there isn’t one in your neighborhood. Resale bargains – Local yard sales could churn up something useful. Also parents whose kids have outgrown their baby cribs advertise in the classifieds. However, we do not recommend buying a resale crib as there might be safety issues neither party is aware of. Tip: Only buy a crib manufactured in the last five years. Make sure it has the instruction manual . Check it thoroughly to make sure that all the parts are present and properly installed. Yes, we did say this was the first step...but honestly, how would you know which crib to check unless you had all the other facts in hand and a list of potential options? The US Consumer Product Safety Commission (CPSC) regularly updates products that have been recalled. Check this list prior to finalizing your purchase. 7. Mandatory and Voluntary Safety Standards. Most new baby beds conform to the prescribed safety standards. Check out the crib safety tips detailed by the American Academy of Pediatrics. Also read the information on crib safety and SIDS published by the CPSC. As you can see, there is more to buying baby beds (and other nursery furniture) than simply following your heart for the visual appeal. Holding a living, kicking, crying baby in your arms is a divine experience. But there are practical issues involved and they cannot be ignored. Did this entire information overload scare you? When you have to sit down and work out the practicalities of having a baby, the magic seems to wear off a little. Don’t worry. The magic will return as you start building up on your theme for the nursery. Get the furniture worries out of the way first. Then we will get to the fun part.